Sandra Nutley – Mobilize This! Attribution – Is It Really a Big Deal? / L’Attribution – faut-il en faire un cas? Many people worry about attribution. How much influence did we have on an outcome? Many people except York’s Knowledge Mobilization Unit, that is. This post starts some thinking that arose with the help of the Knowledge Brokers Forum… and some time by a pool. Nombreux sont ceux qui s’inquiètent à propos de l’attribution. Quel degré d’influence avons-nous eu sur un résultat? De nombreuses personnes, mais pas au sein de l’Unité de mobilisation des connaissances de York, cependant. Ce billet présente une réflexion qui a surgi grâce au Forum des courtiers de connaissances… et au temps passé sur le bord de la piscine. Attribution [John Mayne, CDN J. Prog. Eval. (2001) 16(1): 1-24] is the degree to which research as well as other inputs informs a decision. If an impact happens a long time after the research is completed then it is harder to attribute impact to the research study. In a networked and complex environment there are multiple inputs into any decision confounding the ability to attribute impact to a particular study. This is generally agreed to be true. Or is it? “Attribution” is not to be found in any index in these books. A search in google or google scholar isn’t much help because the word “attribution” usually comes up as part of a Creative Commons license. In York University’s Knowledge Mobilization Unit we rarely see attribution as an issue. As described in a recent book chapter our work has helped inform the cooling policies for the City of Toronto, a new funding program for United Way of York Region, a sustainability program for rural businesses and a new way of delivering immigrant settlement services in York Region as examples. When we are able to demonstrate non-academic impact of our work it is often directly attributed to the collaboration we supported. When speaking of the Green Economy Centre, Valerie Ryan, CEO of Nottawasaga Futures, said, “We could not have done this without the Knowledge Mobilization Unit”. So what’s the big deal about attribution? Actor Does it matter Why or Why Not? Academic research institution No In a REF world institutions will create good news stories about any impact, no matter how small, no matter how little research contributed to the impact. Researchers Maybe Depends on how the researcher is being measured which might depend on if they are employed by a university or a think tank or a community based researcher. Think Tank/NGO Yes Think Tanks and NGOs are often funded based on ability to demonstrate impact and the attribution of their efforts. Funders Maybe Private donors want to understand what impact their funding made. Academic research funding councils are beginning to care about impact but they are concerned with narratives more than attribution. Knowledge brokers No If the goal is to broker successful collaborations or access to knowledge then the impact arising from those collaborations is nice but anecdotal. End users No They got an impact. Attributing that to research or any other input is less relevant than the impact itself. Evaluators Yes This is what they do. They are employed by those who care about impact and attribution. Academic institutions routinely deal with attribution in technology transfer and commercialization. When an academic institution grants a license to a patent the attribution issue is dealt with up front by agreeing on a royalty rate. The royalty rate acknowledges there will be other inputs en route to market; however, the academic institution will create a REF case study regardless of a small or large royalty rate. This was my “Aha Moment”. As described in a recent paper, York works almost exclusively in a co-production paradigm where the decision maker partner is an active participant in the research endeavour. The decision making process for our research partners occurs continuously during and after the collaboration. Decisions may be informed during the research process, not solely after the research is concluded. The Knowledge Brokers (No – above) in York’s institutional (No – above) Knowledge Mobilization Unit promote a co-production method in which impacts may precede outputs. Attribution is therefore not a big deal for us. This certainly doesn’t deny the importance of Attribution in other contexts and the role of methods such as contribution analysis and productive interactions to address the issue. It’s just not a big deal for us. 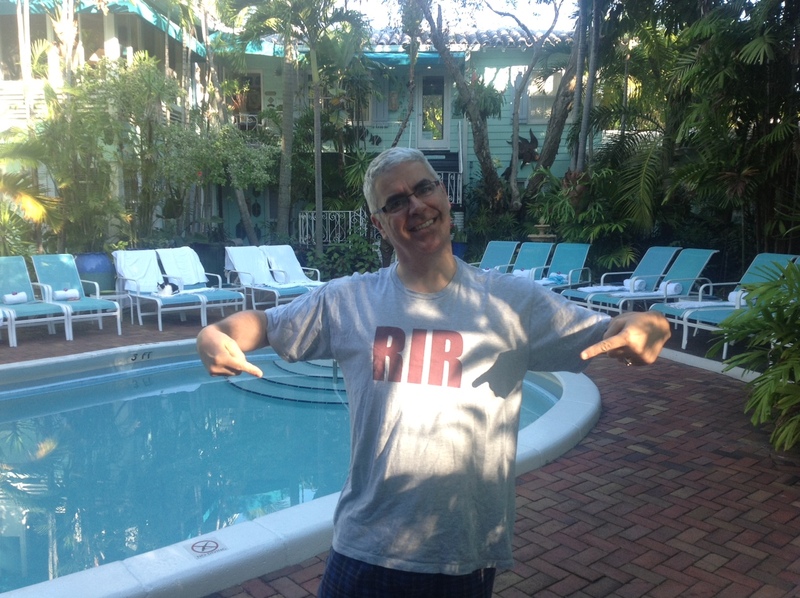 And I was sitting by a pool in Ft. Lauderdale reading Annette’s paper when I had my “Aha Moment” underscoring the need to get away and just think. How Are You Using Evidence? My cat GoGo likes to interrupt my work. Whether she is sitting on me or sitting on my papers or competing with my laptop for my lap she is always interrupting my work. But in this picture (below), GoGo also reminds me how valuable Using Evidence continues to be. Even now, six years later KMb is still only emerging at institutional and systems levels. This underscores the currency of Using Evidence. All that to say, if you haven’t read the book do so. It’s 33 pages of references means you don’t have to go anywhere else to find relevant literature up to 2007. It is foundational for our work. You can even get the book on Amazon. I shared this picture with Sandra with whom I collaborated on a paper earlier this year. Thanks to our co-author Sarah Morton (@CRFRtweets) for writing about our article. 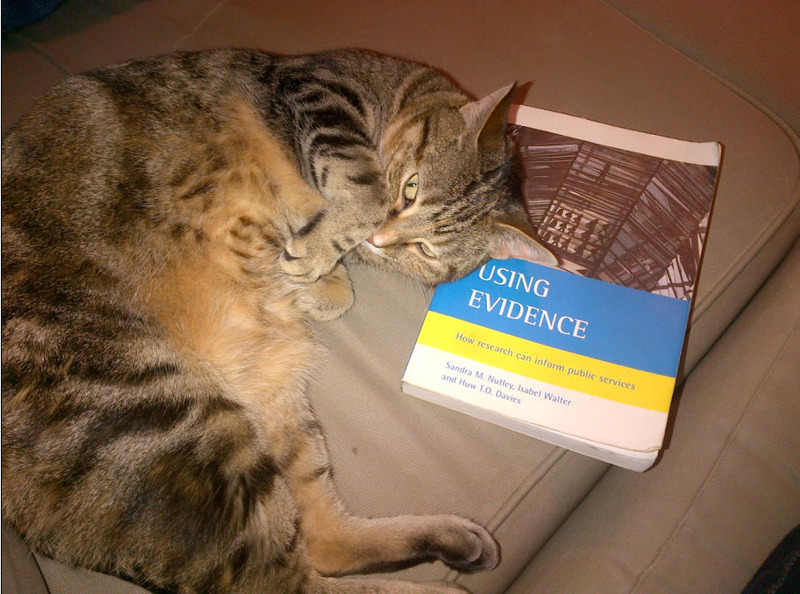 So let us know… how are you Using Evidence? Sandra Nutley has written and will continue to write seminal works on research use. Read her articles and her books but also attend a presentation she makes because it is there that she distills her many words into just a few. And she makes them all count. Sandra Nutley a écrit et continue d’écrire des travaux de référence sur l’utilisation de la recherche. Ne manquez pas de lire ses articles et ses livres, mais surtout, ne perdez pas l’occasion d’assister à ses présentations. C’est à ces occasions qu’elle synthétise sa pensée complexe en quelques mots, chacun d’un vaut son pesant d’or. I have had the pleasure of hearing Sandra Nutley speak on numerous occasions in the UK and in Canada. I have read nine of her papers, working papers and even a forthcoming book chapter. Of course, I have read her book, Using Evidence that she wrote in 2007 with Huw Davies and Isobel Davies. In fact I have purchased over 30 copies of her book since it has been published using them in workshops and meetings. Her writing is on the must read list for all knowledge brokers. Even though her writing is fairly accessible, Sandra writes for academics not for practitioners because Sandra is an academic. That’s where going to hear her speak is a wonderful complement to reading her scholarship. 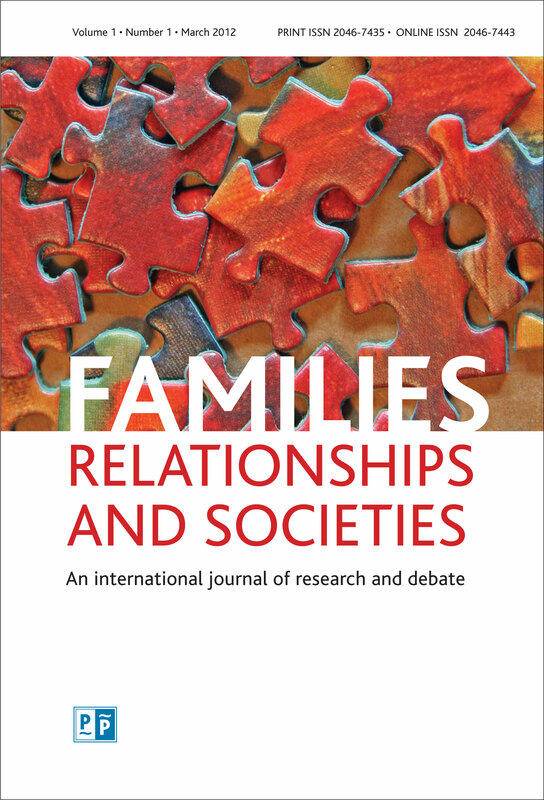 Most recently I shared the stage with Sandra at the 10th Anniversary conference of the Centre for Research on Families and Relationships at the University of Edinburgh. Sandra presented straight forward advice that was accessible to scholars, practitioners and partners from the policy and community sectors. She presented seven lessons for those seeking to enhance the use of academic research by decision makers. Thank you to Sandra for permission to reprint these which we reproduce with reflections on our knowledge mobilization practice at RIR-York. Set realistic ambitions and expectations about research use York’s KMb Unit promises to use best efforts to connect researchers to decision maker partners. We do not promise to deliver the best evidence to inform decisions. That is up to the collaboration. Improve supply of relevant, accessible and credible evidence, but don’t stop there York translates academic articles into ResearchSnapshot clear language research summaries and publishes these in an on line searchable database. These serve as a starting point for knowledge brokering, they are not an end in themselves. Shape as well as respond to the demand for evidence in policy and practice settings (consider working with advocacy organizations) We work closely with the United Way of York Region to build community capacity for engaging in research and create a culture of collaboration between the university and community partners. Develop multifaceted knowledge exchange strategies, more than just packaging and knowledge translation (players and processes are more important than the products) As above, ResearchSnapshots are only the starting point for knowledge brokering. York’s KMb Unit then uses user pull (research translation help desk, Lunch & Learn), knowledge exchange (KM in AM, Research Forums) and co-production (interns, social media) methods to support the co-production of knowledge by researchers and their decision maker partners. Recognize the role of dedicated knowledge broker organizations and networks Together with York, our RIR partners (Memorial University of Newfoundland and Labrador, Université du Québec à Montréal, U. Guelph, U. Saskatchewan, U. Victoria) have invested in an institutional capacity for KMb services. Target multiple voices to increase opportunities for evidence to be part of the policy discourse York’s KMb practice routinely engages the community sector, Regional and municipal agencies, provincial ministries and the hospital sector in conversations with university researchers and students. We are considering how best to include colleges and the private sector in the conversations. Evaluate knowledge exchange strategies to improve research use and learn from this We did a formal evaluation of the KMb Unit in 2009/2010. We posted the formal evaluation and our response on Mobilize This! and we published a peer reviewed journal article. Our KMb practice is participatory and self reflective, embedding learning as we go. Sandra summarized her research knowledge in straight forward practice relevant advice presented in clear, concise language (well, “policy discourse” might not be clear language). Thank you Sandra for practicing what you preach and for helping us reflect on our own knowledge brokering practice. 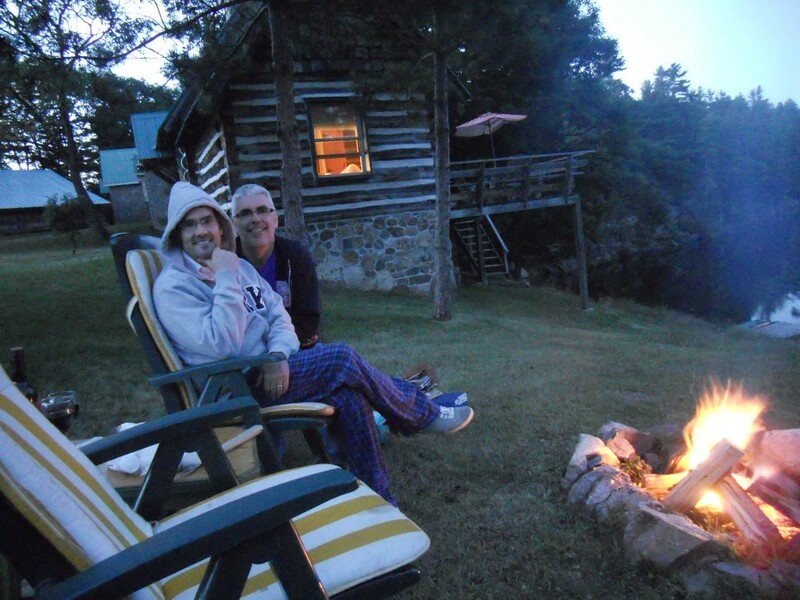 Inspired by a campfire and a few beers, David Phipps (RIR-York) reflects on Using Evidence and looks back to the future of knowledge mobilization. Inspiré par un feu de camp et par quelques bières, David Phipps (RIR-York) réfléchit à l’utilisation des données probantes et jette un regard sur l’avenir de la mobilisation des connaissances. I was camping this weekend. I have been camping with this same group of friends on this same weekend for years so rain or shine we go and have a great time. We have a great time doing almost nothing for three days. We sit around a fire. We play games. We get caught up with friends we don’t see too often. We read. And we have a couple of beers (okay, more than a couple). This year it rained. 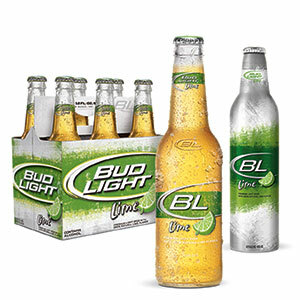 Our tents were damp but nothing could dampen our spirits (thank you Bud Light Lime). Because it was raining, I took some time out to work on a book chapter we have been invited to write for an open access book titled Social Sciences and Humanities – Applications and Theories. Part of the chapter is, of course, a lit review so I have been revisiting some foundational KMb literature. After a lovely time with Sarah Morton and Sandra Nutley this summer (thank you Gary Myers, @kmbeing for your blog), I took some time this weekend and returned to Using Evidence that Sandra Nutley published in 2007 with her colleagues Isabel Walter and Huw Davies. I got back to KMb basics while getting back to the basics of living in a tent and cooking over a camp fire. When I first read Using Evidence in 2007 York’s KMb Unit had been operating for one year. We had just hired our second full time staff person and we had more KMb enthusiasm than KMb talent. In 2011, York is leading ResearchImpact-RéseauImpactRecherche, we have published on our work, spoken internationally and I have met Sandra twice and look forward to seeing her again as we both speak at the CRFR 10th Anniversary National Conference in Edinburgh in November. It is interesting to revisit foundational literature like Using Evidence and see the literature through a lens of experience. I can now synthesize key messages and see the KMb forest where before I saw only a collection of KMb trees. York and all the RIR universities are building KMb services at the institutional level to serve a system of researchers and their (primarily) local research receptor organizations. We have also frequently blogged about the role of social media in KMb (search the “social media” tag on Mobilize This!) and most recently on August 25. In our book chapter we will present some evidence we have collected about how we are using twitter to support a KMb community of practice for KMb stakeholders. In 2007 we were learning the basics. Four years later we return to the basics so we can look to the future. Interactive relationships between researchers and decision makers are the foundation of KMb. In the future we will develop system level KMb supported by social media so that we can continue to build on the basics and better foster those interactive relationships.